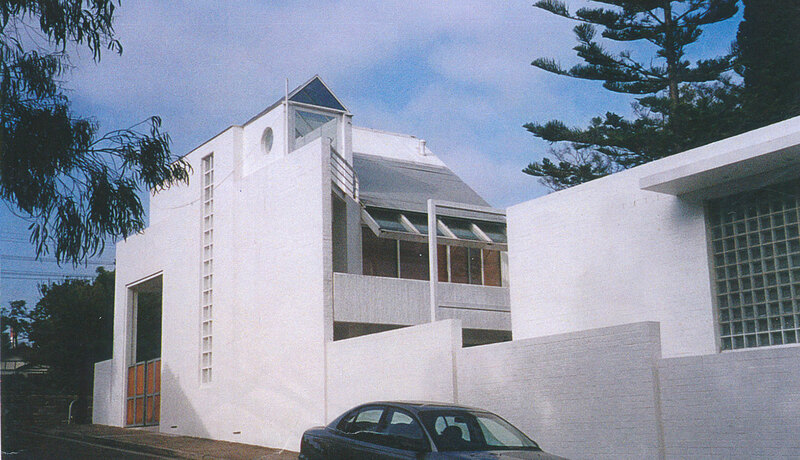 Although this two storey house in Balmain, designed by famous American architect, Richard Meier, built in 70s had magnificent city views, they were only restricted to the limited vision through the raked glazing on the top floor – the loft or attic. 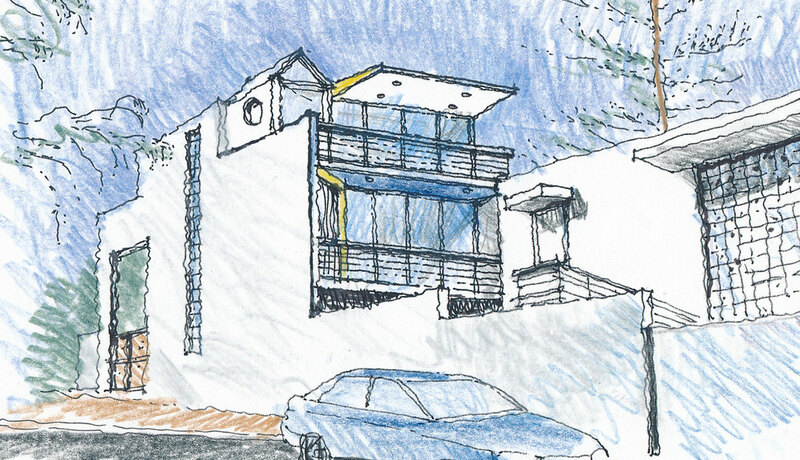 Apart from some alterations to ground floor, the major part of the design brief was to open out and extend this attic space, convert it into master bedroom, opening onto a new north facing balcony with uninterrupted city views. 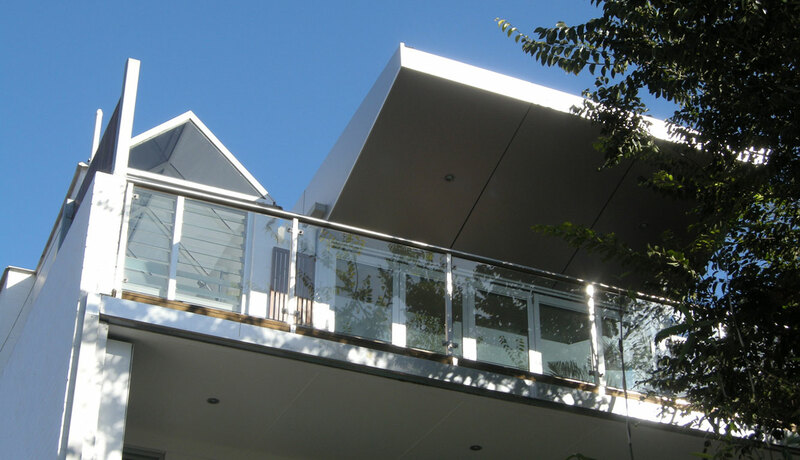 The challenging part of the design was adding the awning to this balcony, keeping the integrity of the original house design intact. This design intent is accomplished as the new awning is not only consistent in terms of materials, scale and proportions that blends well with the existing style of the house, it enhances the appearance of the house and enhances the streetscape.